TrustZone Christmas Sale – 70% off your VPN! If you want to protect your privacy and surf anonymously, or just have the ability to hide your ip and country, or switch to another country, we can definitely recommend TrustZone VPN. They now have Christmas sale with 70% off their VPN plans, so you can get a really good deal. There is also a 3 day free trial so you do not risk anything. If you want to get a great VPN for excellent price, check the TrustZone Christmas sale now! MacXDVD again prepared a nice giveaway and contest for readers of RLSLOG. You can now get free full license of MacX MediaTrans. This is a great tool for all users of iPhone and Macs as it allows you to easily transfer all media files, photos, videos and also decode and backup all purchased movies and audio. In addition you can enter competition to win iPhone XR or discounts for other products from MacXDVD, see the giveaway page below. 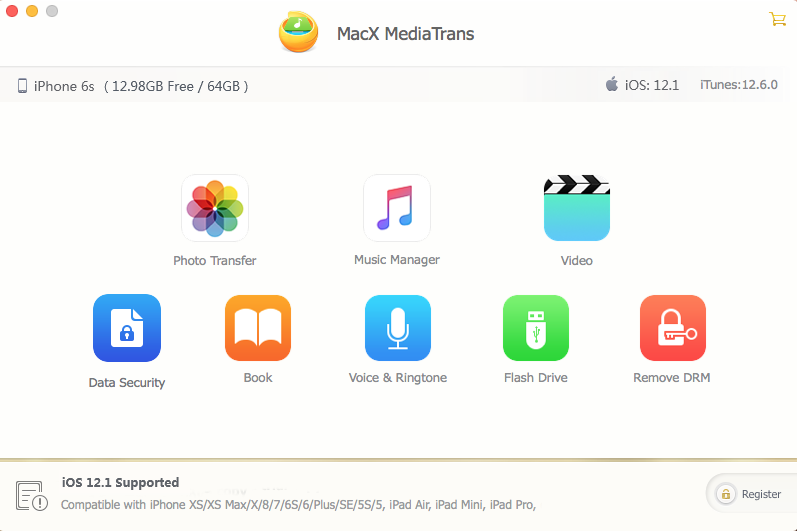 MacX MediaTrans is a professional file transfer & manager tool designed to transfer photos, videos, music etc between iPhone X/8/7/7 Plus/6S/6/SE, iPad, iPod and Mac (macOS High Sierra)/PC (Windows 10) without using iTunes. 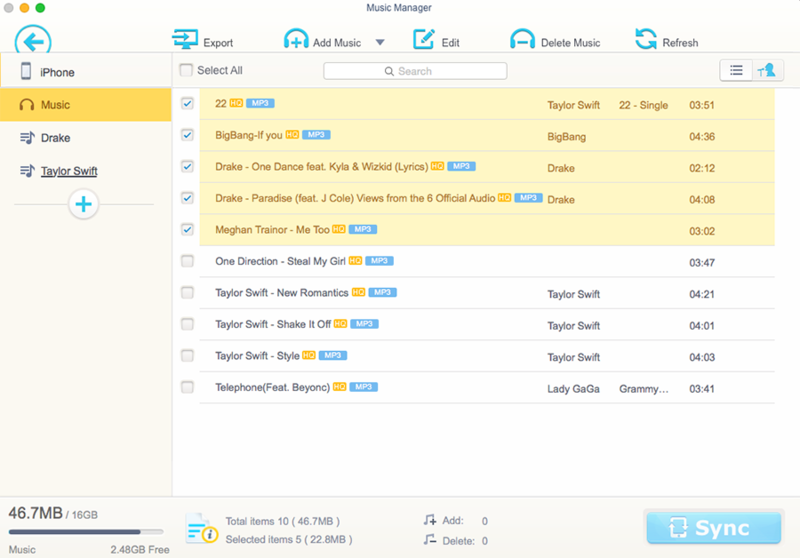 The “drag-and-drop” design makes it the simplest and fastest alternative to iTunes for data sync, transfer and restore in lossless quality. It not only serves as an iTunes replacement for data transfer without quality loss, it’s also an iTunes substitute music manager for iOS. iCloud and iTunes play well with iTunes content, but not those sourced elsewhere. It would be great to have an iPhone manager that does not limit what you could transfer, and can quickly import and export large file such as 4K video and pictures in batch. MacX MediaTrans is a reliable alternative to iTunes on Mac. Online casinos first came about over two decades ago. They offered players the opportunity to enjoy their favourite casino games from the comfort of their homes. And when online casinos became more popular, technology also improved, allowing operators to offer more immersive experiences to gamers. Most recently, this has taken the form of online live casinos. What is live casino gaming? The term ‘online live casino’ seems, at first, like an oxymoron. How can a game be both live and online? The answer is simple. Online live casino games involve a real dealer who runs the game from a casino or studio gaming floor. This live game broadcasts to players online, who can place their bets from their laptop or devices. That means that, unlike standard online casino games, there is no random number generator (RNG) used. The games play out just like they would in a casino. The dealer shuffles the cards, or spins the ball as in roulette, and the bets pay according to the physical outcome. The live casino format allows players to interact with the dealer, who is a paid employee with their own set of job responsibilities, and also, chat with other players. This ‘bridge’ between the online and brick-and-mortar casino world makes the games more sociable and exciting. The emphasis is also on providing a visually stunning experience. Operators often use high-definition cameras, with multiple angles as well as audio and streaming technology to keep all the elements of the gameplay in sync. In addition, the top operators not only offer the most popular live casino games, such as roulette, blackjack, baccarat and poker, but also games that you won’t find anywhere else, such as ‘Dream Catcher’. In the future, you can expect to see more live casino games in the marketplace, as operators look to stand out from the crowd. VideoProc Giveaway – edit your videos! We have prepared yet another giveaway for all readers of RLSLOG in cooperation with software developer Digiarty. This time you can get free full version of cool video editing software VideoProc. Check it out below! VideoProc is a one-stop video processing tool which assists users to edit, resize, adjust, transcode their 4K UHD videos at fully GPU- accelerated speed. It also offers the solutions to download online videos from 1000+ sites, record webcam/screen at same time, record iPhone screen without red bar, etc. VideoProc comes as the No.1 fast video processing software that peaks Level-3 Hardware Acceleration fully powered by Intel®, AMD® and NVIDIA® GPUs, delivering buttery smooth (4K) video editing and transcoding without compromising quality. VideoProc also offers A-to-B video conversion: Encompassing 370 input codecs and 420+ output formats, the impeccable 4K-capable video converter answers all simple and complicated transcoding needs, e.g. H264 to H265 (HEVC), MKV to iPhone/MP4, AVI to YouTube, 3D to 2D. For gamers, sports lovers, educators and live enthusiasts, VideoProc is the go-to tool to record gameplay, presentations, webinars, Skype call, streaming video, and create vlogging, screencasts, podcasts, software reviews and video instructions, making it easy to interact with your audiences and teammates. More than just video editing, VideoProc lets you cut, crop, merge, rotate, deshake, resize, convert and adjust any 4K or oversized videos taken by iPhone, GoPro or other 4k cameras. 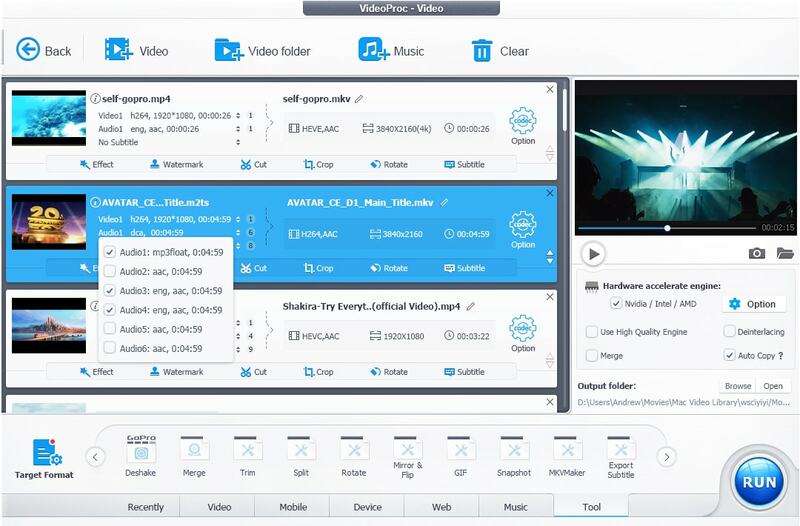 Give it a whirl and download to get VideoProc license key for free. Competition: You can now win Apple iPhone XS, Apple iPods and other great prizes in VideoProc contest – just submit your email to win one of the prizes. If you are looking for a great software for your iPhone or iPad, we have a nice tip: IOTransfer is a powerful tool for managing your Apple device. It is a great and lightweight alternative to iTunes with much more functionality and features. You can easily transfer all your files to/from your phone or tablet. IOTransfer also offers useful video converter and downloader, with which you can get any online video within few seconds. Give it a try and see for yourself. IOTransfer 3 is a simple yet effective iPhone/iPad/iPod file transfer and management tool, as well as a powerful video downloader and converter. IOTransfer 3 provides a 1-click solution to easily transfer photos, music, videos, and contacts from your iOS device to PC. It also helps you import, export, and delete more contents, such as iBooks, Podcasts, Voice Memos, Apps in the MANAGE tab. Thus, it is a perfect iTunes alternative. Additionally, the optimized VIDEOS feature supports downloading various videos from more video websites to your iPhone/iPad/iPod and PC so that you can watch them offline. The improved CLEAN feature supports to clear more caches and junk files on your iOS device to free up more space. WonderShare DVD Creator – meet all your DVD needs! If you are looking for application for creating DVDs, we have a great tip for you. Wodnershare DVD Creator is one of the most complex applications on the market and it will allow you to do all tasks related to creating DVDs. The interface of DVD Creator is intuitive and user friendly and the application works fast. Hundreds of different formats are supported including both mainstream and less popular formats. You can also create nice slideshows of your photos and add music with few clicks to the background. Wondershare DVD Creator is a powerful but easy to use DVD burning tool that uses a handy wizard to help you burn custom DVDs from your collection of images, videos and music.Wondershare DVD Creator allows highly customizable burning, including animated menus that give your DVDs a highly personal touch. 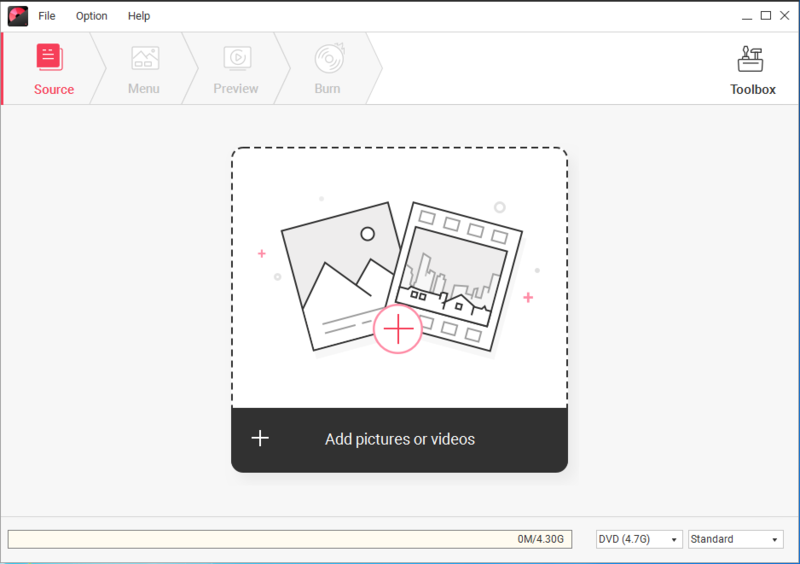 Simply select the multimedia files you want to add via the setup wizard, place them in the order you want them to appear and add a static or animated menu. You can burn the results either onto a DVD or as an ISO image. 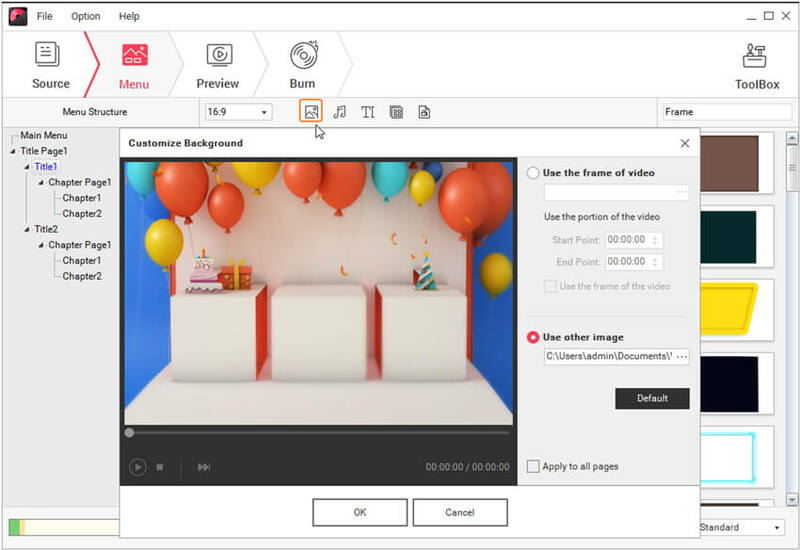 Wondershare DVD Creator supports a wide range of video formats and also converts all regular SD and HD videos to high quality DVD format. Unlike some converters, Wondershare DVD Creator does a good job of maintaining quality after conversions too. Create DVDs With Any Video – Burn videos in 150 formats to DVD/DVD folder/Blu-ray DVD folder/ISO/Blu-ray disc, like MP4 to DVD, MKV to DVD, AVI to DVD, and more. If you are unhappy with Apple iTunes, we have a great tip for an alternative software for transfering photos, videos and all other files between your Mac and iPhone. MacX MediaTrans from Digiarty is a great iTunes alternative and you can get it today completely free with this giveaway. This promotion and your chance to get a full free license runs only entil end of September 2018.